The dividing lines between Apple products are clear. Apple makes phones and tablets that run iOS, and laptops and desktop computers than run macOS. But it’s time for Apple to start breaking down those barriers and experimenting with new kinds of products that cross the streams. It’s time for Apple to expand beyond the MacBook and MacBook Pro. It’s time for the first iOS laptop. Consider the iPad Pro. With screens that measure 10.5 and 12.9 inches diagonally, they’re practically the size of Apple’s old MacBook Air models. 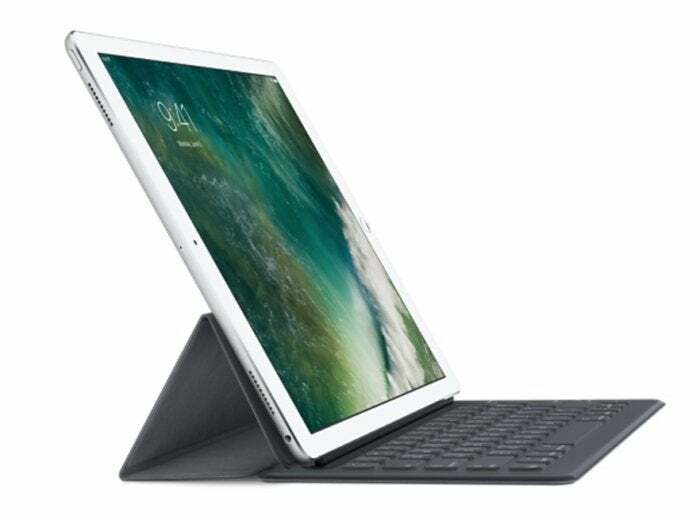 The iPad Pro was the first iOS to ship with an Apple-designed keyboard, the Smart Keyboard. When the Smart Keyboard is engaged, at a glance the iPad Pro already looks like a strange laptop. The problem with the iPad Pro is that it’s literally not a laptop: You can’t comfortably set it in your lap and get work done. (Yes, you can kind of balance the Smart Keyboard on your lap, but it’s not the same as using a laptop—in terms of stability or adjustability.) This year I’ve been using my iPad Pro with the Brydge keyboard, a Bluetooth keyboard with two clamps that turn the iPad Pro into something that looks an awful lot like a laptop—albeit one with no trackpad. 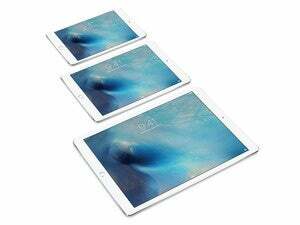 A 12.9-in iPad Pro with Smart keyboard. My year spent with this keyboard has convinced me that an iOS laptop would have appeal to a lot of people. It would be thin and light, like a MacBook; it would have a touchscreen, unlike the MacBook and MacBook Pro; and like the iPad Pro itself, it would have all the power of a laptop. iOS 11’s multitasking features make it even more appealing. When my iPad’s in laptop mode, it is absolutely a “real computer.” I’ve used it to shoot photos at Apple media events, process them, and upload them to the web; to write tens of thousands of words on deadline; to edit web templates and SSH into linux servers and, yes, even control Macs from remote locations. Would an iOS laptop be for everyone? Absolutely not, but there are lots of people who might want a laptop but don’t need anything more than what iOS offers. Apple will still make MacBooks, and hopefully has plenty of innovation yet to come in that area. And some people really do prefer working with laptops over tablets, all other things being equal—not just writers, but people who watch a lot of video. My daughter is a great example: She loves watching Netflix on her laptop and has refused to consider switching to an iPad. 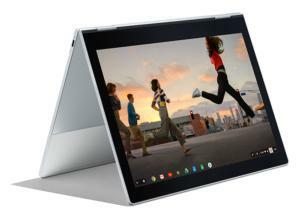 A good comparison product might be Google’s Pixelbook, a fancy $1,199 Chromebook with a 12.3-inch touchscreen and the ability to run Android apps. The Pixelbook is, likewise, not a laptop for everyone—but it’s thin and light and powerful enough for many people’s needs. Then there’s the Pixelbook’s keyboard—it’s got a 360-degree hinge, meaning that you can fold the keyboard all the way behind the screen and use it as a tablet. It’s not quite the same as the detachable keyboard of the Microsoft SurfaceBook, nor does it offer the peel-and-forget elegance of a thin magnetic keyboard like the Smart Keyboard or Microsoft’s Surface keyboards. But it does make the Pixelbook a laptop that can act like a tablet. For people who want a tablet that can act like a laptop on occasion, the iPad Pro is the right product. But I’d love to see Apple make a product just on the other side of that divide—a product that’s a laptop first and foremost, but can act more or less like a tablet when it wants to. Such a product will never be as good a tablet as an iPad, but that’s okay—because it would be a better laptop. A lot of digital ink has been spilled about the possibility that Apple might one day merge macOS and iOS, something Apple executives have been insisting is not going to happen for many years now. Rumors of Apple dumping Intel and building MacBooks running its own A-series processors have also bubbled for a while. But Apple can keep macOS and iOS separate and still design a laptop that looks an awful lot like the MacBook, one powered by one of its A-series processors. Add a touchscreen, remove the trackpad, and maybe add a hinge that lets the device tuck away the keyboard when it’s not needed. I don’t know what they’d call it—can we bring back the iBook?—or what they’d charge for it. But I’d love to see it. And while we’re at it, yes, I’d also like Apple to make an iOS desktop in the style of the Microsoft Surface Studio. With all the improvements in iOS 11, it’s time to start considering all the places iOS can go that it hasn’t been able to go before.